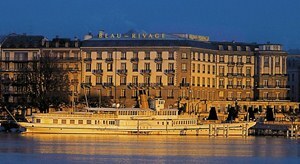 Hotel Beau Rivage is the oldest hotel in Geneva, founded and still operated by Mayer family (5th generation) since 1865. And it has a huge history! Austrian Empress Sisi was stabbed to death when leaving this hotel in 1898, and 20 years later, in 1918, the birth of Czechoslovakia was signed here. 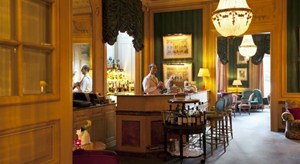 Even though now furnished with all the modern accessories, don't expect the most modern hotel when coming here: it still retains its unique history and atmosphere of the old times. Hotel Beau Rivage offers 90 spacious rooms, such as Deluxe Double Room with Lake View, Prestige Suite, Historic Suite, as well as Royal and Imperial Suite for the highest comfort and luxury. 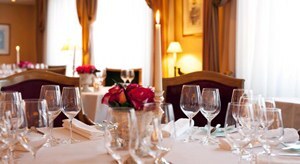 Rooms have classic and elegant decoration, combining modern elements with historical atmosphere. All rooms are air conditioned. There are fresh flowers in every room, LCD television, multinational adapters and all other usual accessories. 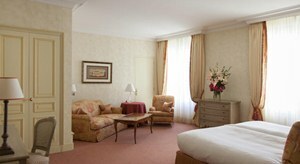 Big windows with views on Geneva Lake for deluxe rooms or views on the city for executive rooms. There is a free wifi in the whole hotel. 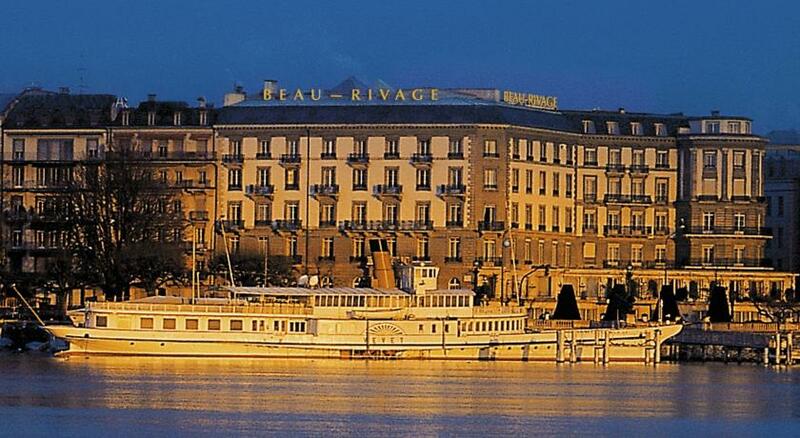 Hotel Beau Rivage is located at the west shore of Geneva Lake, in the hear of Geneva. Bus station Gare Routiere and Train station Gare Cornavin are within short walking distance. Palas of Nations is easily reachable with the public transport. Main shopping area, and the Old Town are on the opposite side of the lake, which is a short walk with beautiful views on the lake and fountain. The shipping port is just 50 meters away, so you can use the boat to get cross the lake or to visit nearby cities. If you are coming from the airport, you can use hotel's limousine shuttle at extra costs, or you can take a train to Geneve-Cornavin train station. From Gare Cornavin, take bus 1 direction Jardin Botanique and leave on the Monthoux bus stop, which is only 2 minutes walking distance to the hotel. Hotel offers one of the best and most delicious dinning option in town: Le Chat Botté, serving the prominent French cuisine, which reached 18 out of 20 points in Gault et Millau restaurant guide and Le Patara Restaurant serving the Thai cousine. You can refresh yourself at the Bar and get the Breakfast delivered to your bed. Hotel Beau Rivage has luggage store, room service, meeting facilities and business center. Hotel offers babysitting service. Parking is possible at the place for a standard costs, you can also hire a car. There is a massage at a hotel and a fitness, which is rather small - 2 people find it hard to fit in together. 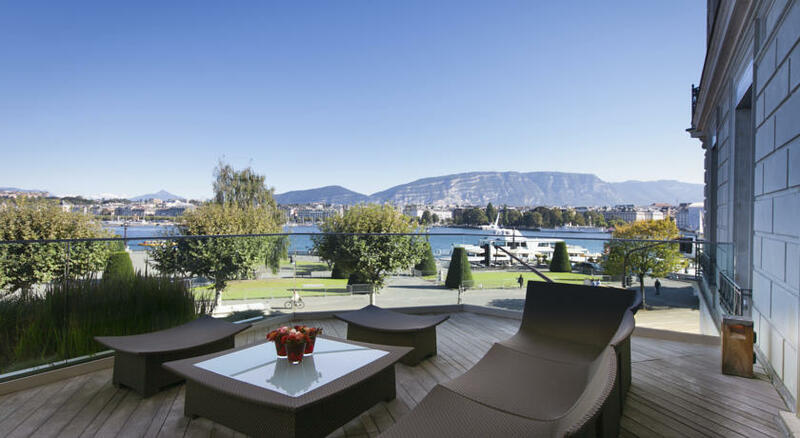 Terrace offers beautiful panoramatic views over the lake, fountain, city and the mountains. The main hall is cozy, with a quiet fountain and reception. Stuff is very well trained, friendly and professional. Calling you with your name right after you check in on the reception, you will get a feeling of being home, or back in a royal times. Beau Rivage Hotel is an one-of-a-kind five star hotel with a centered location, perfect stuff and outstanding restaurants and services, which make it the best choice especially if you are looking for something with unique history. Together with grace and comfort you will be feeling like in a royal palace. Check the availability and prices according the different room types by clicking on the Search button bellow.